Although this year’s crop of college freshmen is confident in their academic abilities, they are more uncertain when it comes to their social skills. They also believe the main benefit of pursuing a college education is to increase their earning power—which they will need—because today’s freshmen also aspire to be well off, despite the fact that their emotional health has hit an all time low. 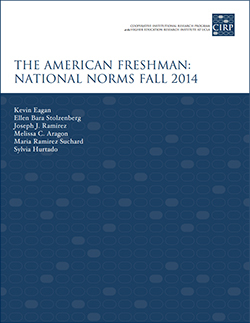 These are some of the recent findings to come out of The American Freshman: National Norms Fall 2014, an annual survey conducted by the Cooperative Institutional Research Program, part of the Higher Education Research Institute at the University of California at Los Angeles. The American Freshman Survey is based on responses from 153,015 first-time, full-time freshmen at 227 four-year public and private institutions collected in 2014. 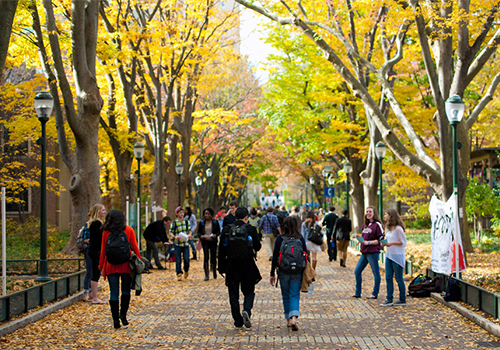 Today’s freshmen report they socialize far less than previous generations. While 38 percent of their parents’ generation spent 16 hours or more a week as high school seniors hanging out with friends, only 18 percent of today’s freshmen would make the same claim. Blame it on growing up with social media and cell phones—or being raised by helicopter parents—today’s freshmen social habits are changing. Current students are more likely to interact with their peers on social media, with a quarter reporting spending six hours or more a week on Facebook, Twitter, and other sites, an increase from 19 percent just seven years ago. And they seem to rate their socializing abilities as poor compared to their critical-thinking and problem-solving skills. The report sees an increasing trend among students for colleges to help them with this deficit, and this has some observers worried, saying it detracts from academic focus and rigor. Nearly half of this year’s freshmen said their college’s reputation for social activities was “very important” in their decision to enroll there. While many complain that today’s bachelor’s degree has become the new high-school diploma, many wonder if today’s graduate degree will become the new bachelor’s. Nearly half of today’s freshmen said they planned to pursue a master’s degree, up from about 25 percent 40 years ago. And over the last four decades, students who began college intending to earn a doctorate or professional degree grew from 21 percent to 33 percent. 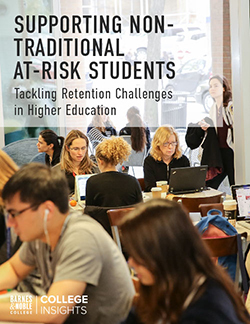 While a school’s academic reputation continues to be the most important factor for students when choosing where they attend college (65.4%), other factors, such as being admitted through an early action or early decision program, continue to gain momentum. 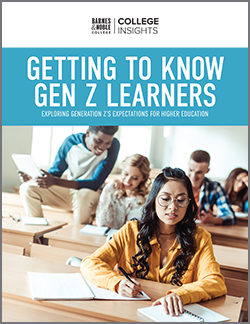 Since this question was first introduced in the survey, the percentage of students rating early admittance as “very important” has doubled from 6.9% to 15.7%. As widely reported in recent years, depression among students is on the rise—often affecting academic success as well. Ten percent of freshmen reported “frequently” feeling depressed in the past year, up from seven percent five years ago—and higher than the general population of five percent, according to the Centers for Disease Control and Prevention. Students’ ratings of their overall emotional health this year were the lowest since the survey began asking. Students who reported they were frequently depressed were also more likely than their peers to be academically adrift and significantly more likely to seek counseling, creating a higher demand for counseling and other mental health resources.